Welcome to our shop based in Dunkeswell in North Devon, just 15 minutes away from J26 on the M5. 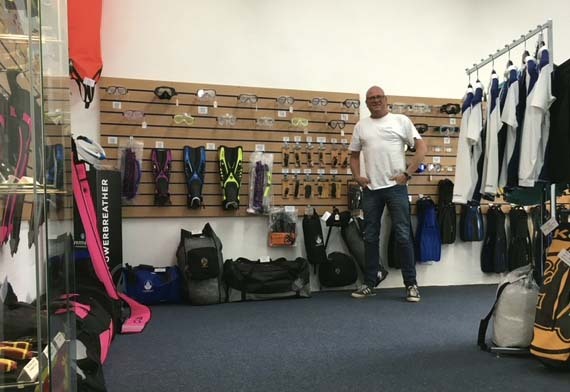 Because of our close link with Fathom Diving we have immediate access to a huge range of diving and snorkelling equipment from the OMS, Sherwood and Akona brands. Fathom also manufacture a range of drysuits on site so come up and get measured up for a new MTM drysuit. Check out our video tour here.